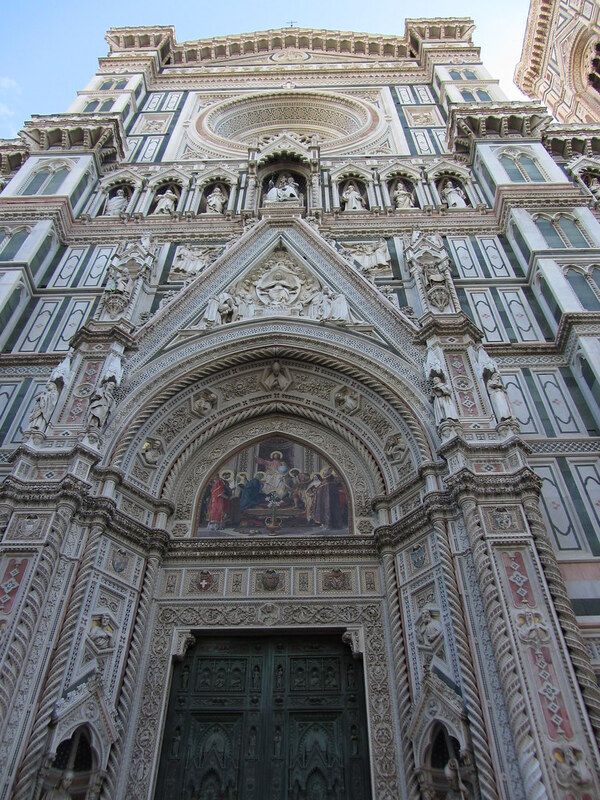 Not too long ago, we found out that the Opera di Santa Maria del Fiore (the Duomo) was planning a series of free concerts inside the cathedrial. The first one was Wednesday night, and it was great. Most of the works performed were composed by Girolamo Frescobaldi, a Florentine lived from 1583-1643. The vocalists were accompanied by strings and, occasionally, brass instruments. I've never heard gregorian chant in a cathedrial before and it blew me away. The sound bounced off every wall, notes piled on top of notes, but it still sounded great. I'm not going to start downloading gregorian chant, but you will find me at the next concert (not chant, but also free) in April. If you're in town, you should visit this site for more details.